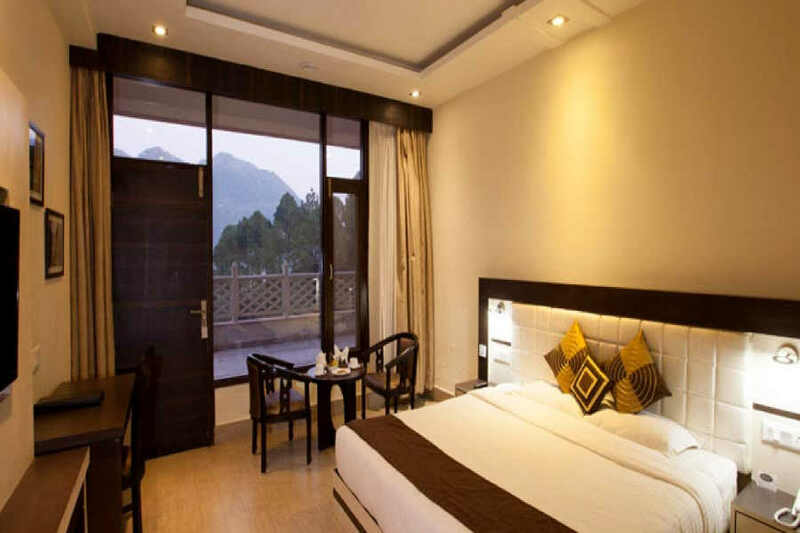 Use the form below to inquire about Charming Hill Resort in Bhimtal, A Himalayan Wonderland . Use the form below to reserve for Charming Hill Resort in Bhimtal, A Himalayan Wonderland . These rooms have a separate sitting area, king size beds and private sit outs. Transform your holiday from ordinary to extraordinary—stay at the Charming Hill Resort in Bhimtal, a Himalayan wonderland. The lake city of Bhimtal is nature’s playground. What else can justify the natural beauty of the region? Lush green hills are dotted with pine and oak forests. The lake lends serenity to this idyllic place. It looks straight out of a fairytale, perhaps the reason why it attracts visitors from all over the country and from around the world. 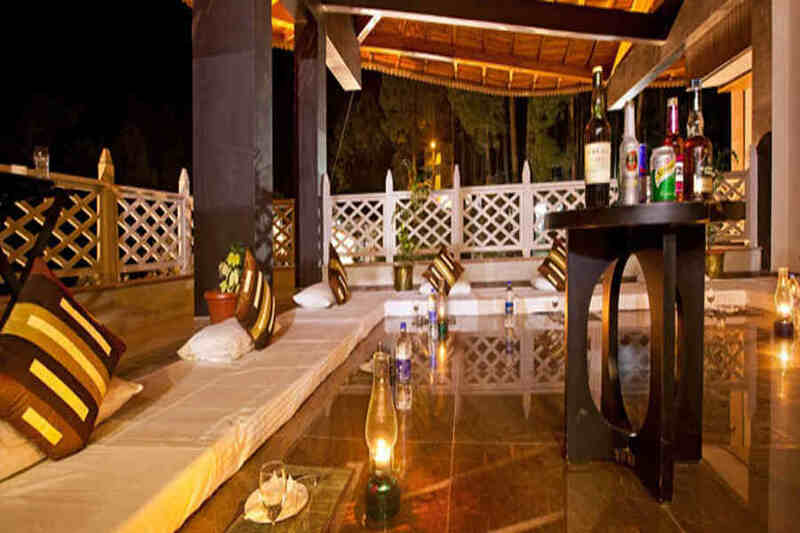 At the heart of all the greenery and the magnificent natural beauty is the Charming Hill Resort in Bhimtal. A tranquil holiday at the resort is all you need to break the monotony of the hustle and bustle of the city. 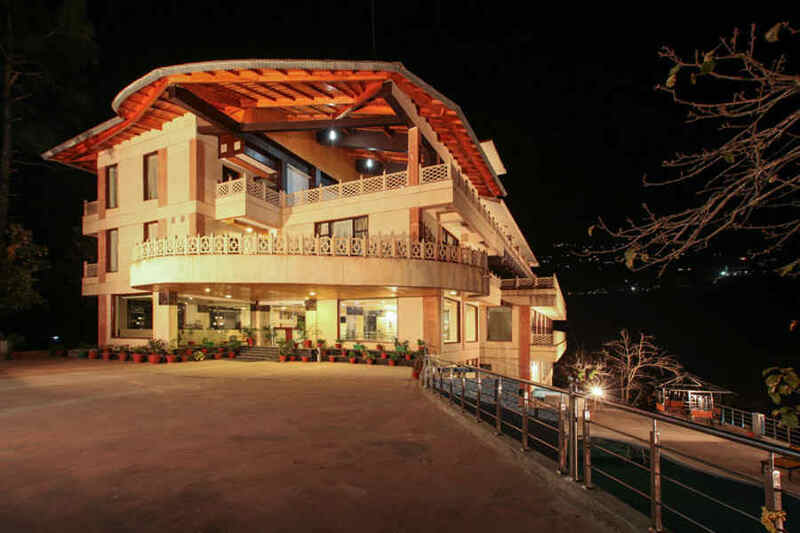 The Charming Hill Resort in Bhimtal is the best place to get up close with nature during your holiday. It’s surrounded by natural beauty all around. It has a beautiful lake on one side and an oak and pine forest on the other. 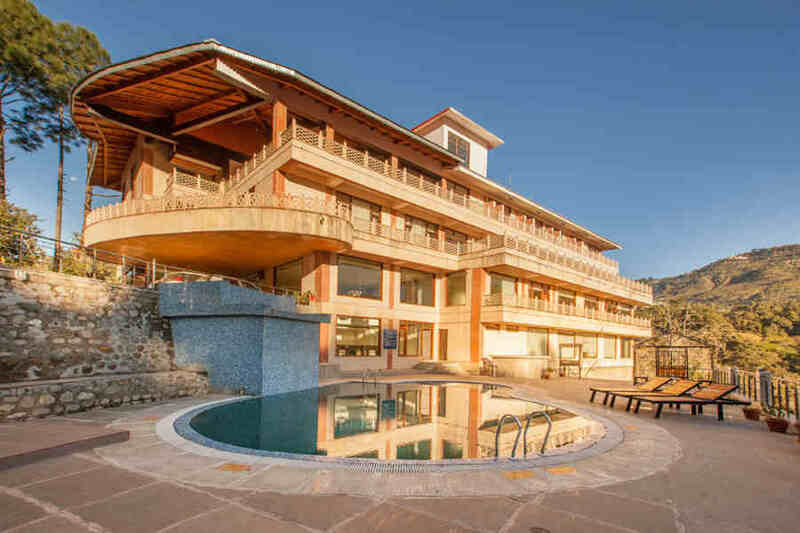 The picturesque landscape of the Himalayan terrain only adds to the hill resort’s glory. As much as the natural beauty will soothe your soul, the resort’s kitchen will indulge your appetite. The chefs will pamper your taste buds with sumptuous food from a wide variety of cuisines, including Chinese, Continental, North and South Indian, and delectable local fare. Guests can enjoy a delicious meal anywhere: the multi-cuisine restaurant, the rooftop resto-bar or anywhere at the resort with the luxury of private service. On special weekends, the resort sets up live food counters as an extra treat. Accommodation at the Charming Hill Resort in Bhimtal is offered in three room categories: Standard Rooms, Deluxe Rooms, and Suite Rooms. All the rooms have private sit-outs. 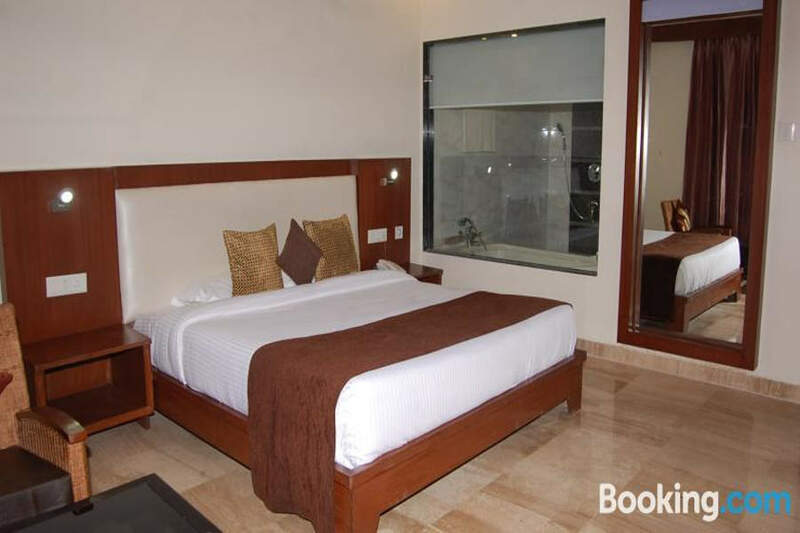 The rooms are well-furnished with a king-size bed. They are also equipped with all the modern comforts, including TV, intercom, AC, and heating. The attached bathroom in all the rooms has a constant supply of hot and cold water for your convenience. The rooms are divided into two blocks. The first block houses rooms along with the reception, restaurants, lobby and conference hall. The second block houses the suites and the spa. The resort has everything for you to unwind and relax. Two bottles of Mineral Water in the room / cottage per day. Compulsory Festive Supplement (i/c limited alcohol) @ Rs.2000/- per person for X-Mas Eve (24th Dec) Gala Dinner. Compulsory Festive Supplement (i/c limited alcohol) @ Rs.3000/- per person for New Year Eve (31st Dec) Gala Dinner. Lunch and dinner will be charged at INR 750 each. 100% advance payment at the time of booking. Check-in time is 2 P.M. and check-out is 11 A.M. Early check-in / late check-out shall be permitted subject to availability of rooms and on paying the day charges. Confirmation of booking is subject to availability of rooms and receipt of advance payment. All the above terms and conditions including the rates are subject to change without notice. A reservation canceled/amended 15 days prior to the check-in shall be exempted from cancellation charge. 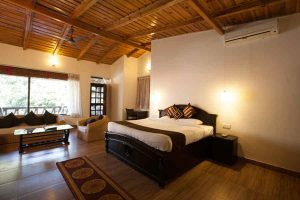 One night stay on pro-rata basis shall be levied for cancellation/amendment received between 7 to 15 days prior to check-in. There shall be no refunds for “no-shows”, “early check-outs” or cancellations made less than 7 days prior to the check-in date. 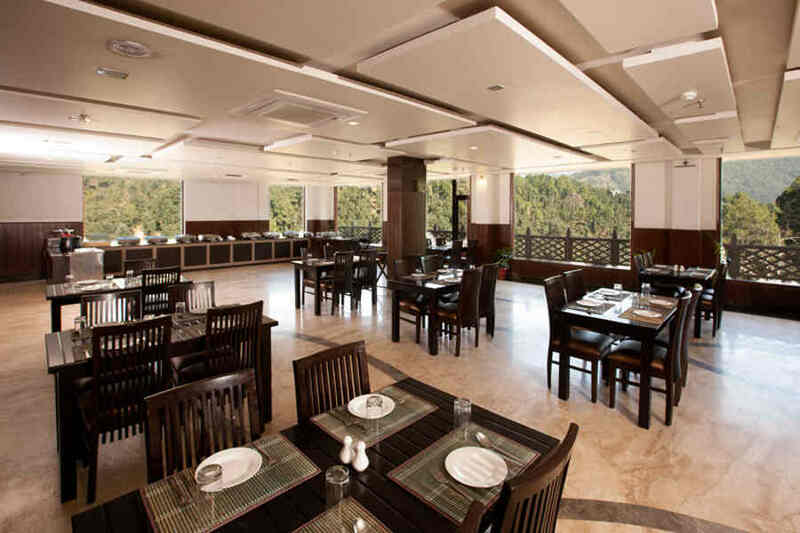 Start your explorations of the lake city at the Charming Hill Resort in Bhimtal. There is something for everyone. It’s a paradise for nature lovers. A walk on the landscaped grounds of the resort is a good place to start your retreat into the woods. Take nature walks in the forests around the resort to soak in nature’s abundance that’s bestowed on Bhimtal. 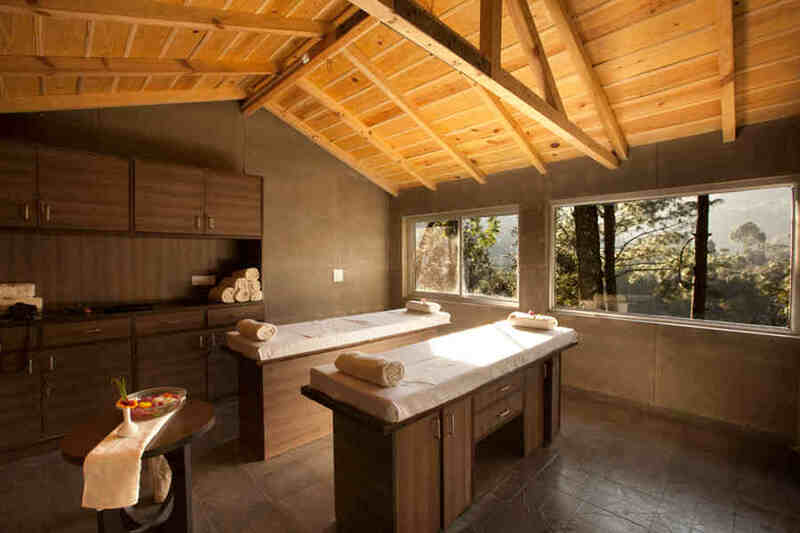 The aroma of pine trees will enchant your senses. Want to try your hands at boating and angling? These activities can be arranged in the private lake at the resort. If you visit in the summers, you can take a dip in the resort’s swimming pool and waterfall. There is a rope course at the resort for those with an adventurous streak. You can also take part in yoga and aerobic exercise programs, which can be arranged on request. If relaxation is on your mind, the hammock, the poolside deck chairs or the spa are your go-to places. Bhimtal has a host of sightseeing places that you can visit during your stay at the hill resort. Start by visiting the Bhimtal Lake. Take a boat ride to the island in the middle of the lake, which was once a restaurant and is now an aquarium. You can also visit one of the many temples in Bhimtal, including Karkota Mandir and Bhimeshwar Temple. Street shopping at the many shops in Bhimtal or even the Mall Road in Nainital is a great option for shopaholics. Pantnagar Airport is the closest airport from the resort, located 56.8 km away. The international airport in Delhi is located 322 km away from Bhimtal and is serviced by flights from around the world. 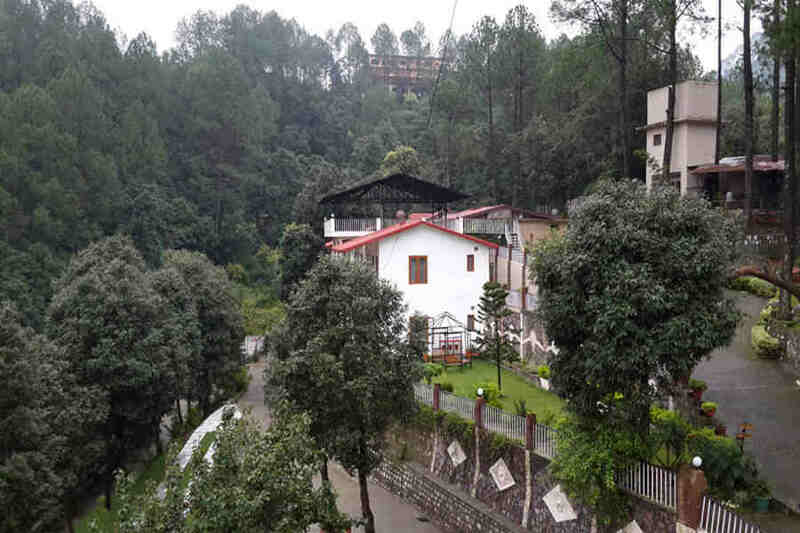 At nearest railway station from the resort is Kathgodam, located 23 km away. It’s connected to Delhi by two daily trains. The New Delhi Railway Station is located 306 km away from the resort. A network of motorable roads connect the Charming Hill Resort in Bhimtal to major towns and cities, including Delhi (306 km), Agra (350 km), Lucknow (377 km), Chandigarh (488 km), and Jaipur (574 km) among others. How much is 6 + 9? How much is 7 + 5?